Playing board games together as a family is the perfect way to spend quality time together and have fun! I was recently given the amazing opportunity to review an assortment of exciting toys and games from Spin Master, and our family has been having a fabulous time! When it comes to fun and games, nobody packs the game aisle like Spin Master. From fast-paced challenges to thought-provoking trivia, there is a Spin Master game for everyone! 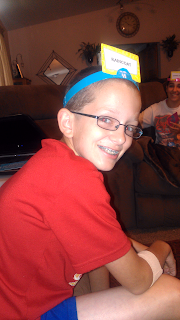 Hedbanz Act Up is a brand new twist on the award winning, popular game of Hedbanz! In this hilarious game, actions speak louder than words. 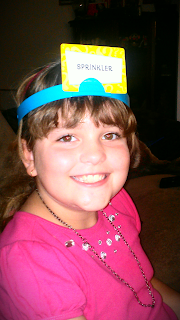 Each player draws a Game Card and matching colored headband. Once everyone has drawn a random card, it's time find out if you're a place, person or thing. The guesser will roll the die and whoever's color turns up has to start Acting Up! Start the timer and watch the actor's actions closely as you guess what's on your head! Am I a sprinkler? Spider-Man? An earthquake? A raincoat? Hedbanz Act Up is the ultimate in family night fun for two to six players ages eight and up. 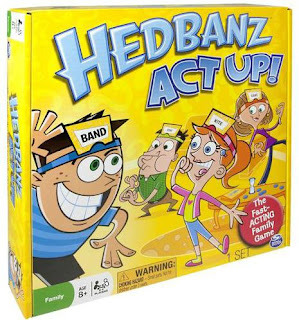 Hedbandz Act Up a fun, fast-acting family game will have everyone rolling with laughter. I can't even guess how many times the kids have played Hedbanz Act Up in the past few weeks. It seems like they are playing it every time I turn around. We have also played it a handful of times as a family. 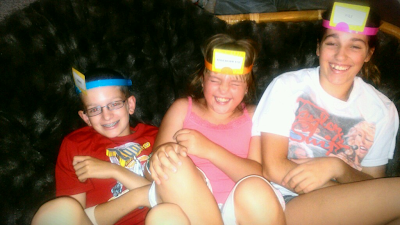 The laughs are never ending and some of the guesses come out of nowhere. No matter how many times you play, the results are always different! Make the moments memorable with family and friends, challenge yourself on what you know - or what you thought you knew. Break open the game box and break out of your shell. There is something fun and unexpected in every Spin Master game! When a whole lot of fun and laughs is what you're after, Spin Master games are the answer! What is your favorite family game? looks like a fun family game! the kids would love this! This looks like so much fun! Thanks for sharing! We have always played Monopoly, but I have to say this looks like a lot more fun. Remind me of the app Heads up. We love scrabble, UNO, & connect four as a family. Sometimes we play domino's. Find the Red Football Jersey and Win Sweepstakes!